Distribution in Turkey: Immigrant or resident butterfly. It is seen especially in Southeast Anatolia during the autumn months. Distribution in the world: From, North Africa and the Middle East across Iraq, Iran and Afghanistan, India to South Turkmenia, Uzbekistan and Pakistan. Living Area: Semi-desert landscapes, mostly along streams. Flight time: For a year two generation is developing. Flight occurs, from September to early – November. Food Plants of the caterpillar: Caterpillars, feeding on plants and develop mainly on Capparis herbacea. Description-Notes: Type Locality Beirut, Lebanon. Very rare and local. 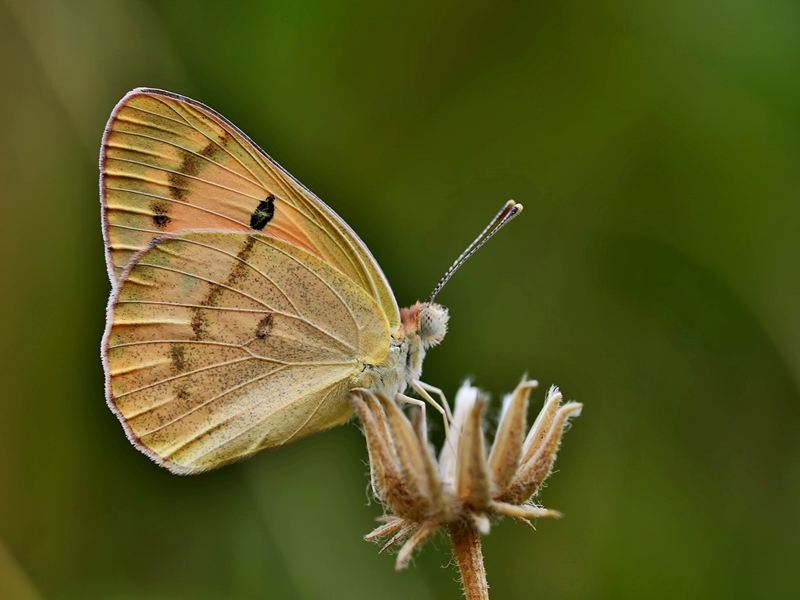 A small orange tips butterfly. Salmon ground color and forewing apex checkered black-and-salmon are unique. Yellow-orange below, with discoidial spots and postmedian band of blackish markings on both wings. In Turkey, a very rare stray to southeast, generally during summer and fall. Sometimes solitary migrant specimens can be observed in spring. The dry season form being smaller and lighter than that of the rainy season. Origin of the name: Fausta (289–326) was a Roman Empress, daughter of the Roman Emperor Maximianus. 1. Baytas Ahmet, 2007. A field guide to the butterflies of Turkey, NTV Yayinlari, Istanbul.24 pp. Love colorful specie that I never seen before. Exceptional clarity, focus and contrast. First time that I see this species. It remaind me the Colotis evagore, but this one is different! Nicely caught. The best sharpness and exposure. Excellent photo of this butterfly in great sharpness and details. Attractive composition in beautiful natural colours.